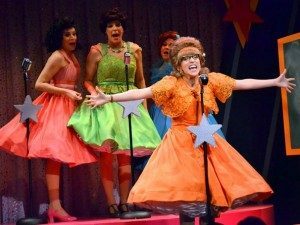 Trivia Time – The Marvelous Wonderettes – Sugartime | All Tickets Inc. 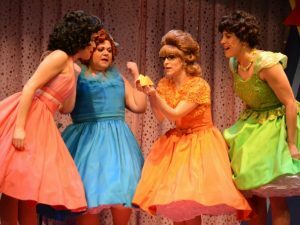 Continuing from last week and for the next few weeks we’ll feature theatre trivia related to the 1950s and 60s and the hit Off-Broadway musical comedy The Marvelous Wonderettes. Here’s our next question. The answer is The McGuire Sisters. 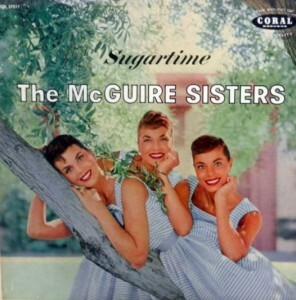 “Sugartime” was big on the pop charts in 1958. “Sugartime” is one of three upbeat and harmonious love songs, with the other two being “Mr. 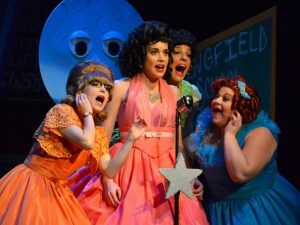 Sandman” and “Lollipop,” that get The Marvelous Wonderettes off to a rollicking start.